It’s incredibly tempting to assume that Matt Magee’s imagery can be decoded or read. Surely, his forms communicate a map of some sort, a pattern or key to assembling something, or a list of names, numbers, or objects. 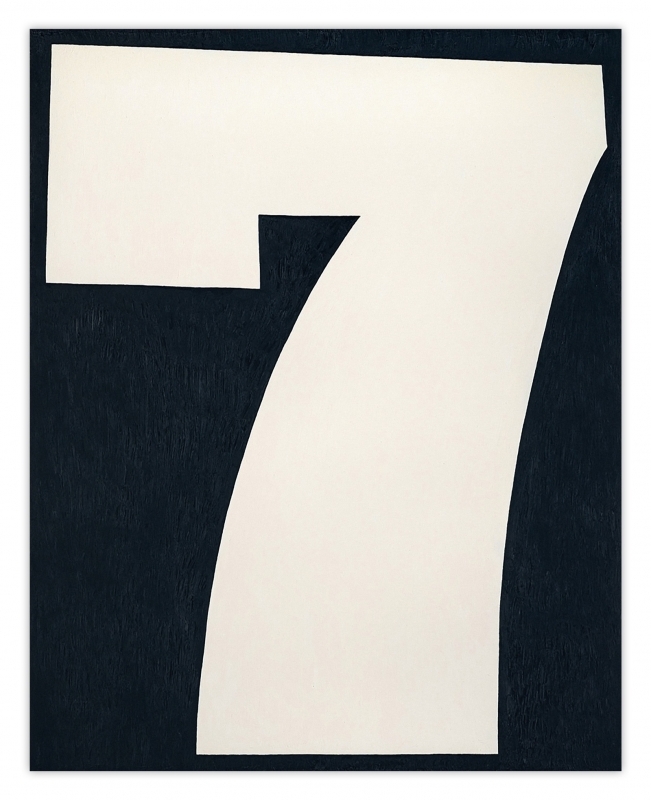 His influences and sources, generously acknowledged in his own descriptions of the work, range from geologic expeditions and painter Willem DeKooning, to turn-of-the-century theosophy and Mexican retablos, and with any knowledge of the external references, perhaps gleaned from the works’ titles,one might feel certain that Magee’s monochromatic shapes serve a semiotic function. However, Magee’s work eludes easy translation into information, and instead, rewards attentive viewers with an insistent abstraction that invites meditation and imagination. 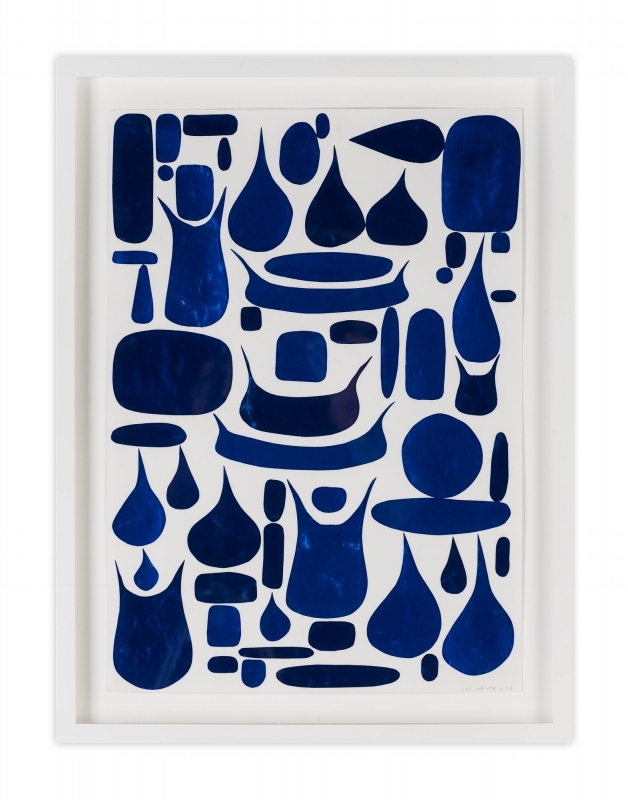 Blue Tear 1, 2002, is both the earliest work in the exhibition as well as the only collage.Assembled from cut shapes of shiny blue wrapping paper, the elegant composition hints at figuration with its attenuated and ovoid shapes. The accumulation of shiny, hand-cut forms drip and ooze across the sheet. They resist any sense of an ordered inventory and instead imply an emotional energy further suggested by the work’s ambiguous title—are these tears shed upon the occasion of tearing open a gift? Magee’s 2008 painting Blue Interconnecteds harnesses a similar range of shapes with a delicate line that unites the mysterious forms. The arrangement feels vaguely familiar, like a circuit board in the guts of an electronic device or a plastic sheet of small parts meant to be separated and assembled into a model airplane. The work’s opaque, deep blue palette, obscures what- ever information we might glean from the details of seemingly familiar objects. Magee’s enigmatic silhouettes steer our vision toward structures that appear simultaneously intimate and universal. Magee’s gift for engaging our imagination with simple forms is particularly manifest in his painting Red Overlook. Bright red half circles and rounded protrusions emerge a long thin horizontal lines that span the width of the composition. The disparate forms and irregular spacing of the lines achieve an overall effect of chaos barely contained by the painted border of red. Between these lines, however, lie tiny distant landscapes, with ancient forms rising from a far horizon. Magee writes, “The painting evolved out of seeing the western landscape with its geologic structures such as buttes, batholiths and monoliths. I took many drives and field trips with my geologist father across the west and Red Overlook became an enumeration and categorization of these forms … [and] became suggestive of an arcane language …” With the sly charm of its bright palette and whimsical pattern, Red Overlook collapses the magnitude of geologic time into the modest space of a painting. Magee’s most recent work pushes the tension between abstract form and evocative idea to an extreme, with works that present a single, monochromatic shape in a white field.The deceptively simple Thought Form 1 invites a contemplative engagement with the work’s radiant circle at the heart of the composition. Far from empty, the white space around the form is painted with delicate brushstrokes that extend the red circle’s energetic presence. Magee’s interest in surface is similarly evident in his 2017 painting on aluminum, All of You. Carefully laid oil paint in a dense blue-black color shapes the deep curve and heightens the materiality of the flat form. 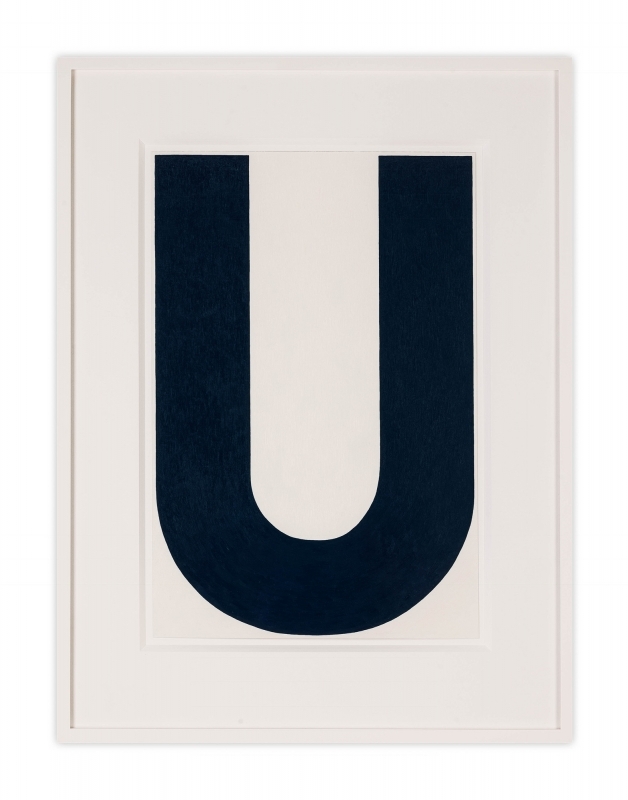 The linguistic function of the letter “U” disintegrates in the wake of the artist’s attention to the solidity of the cradling, vessel-like shape. 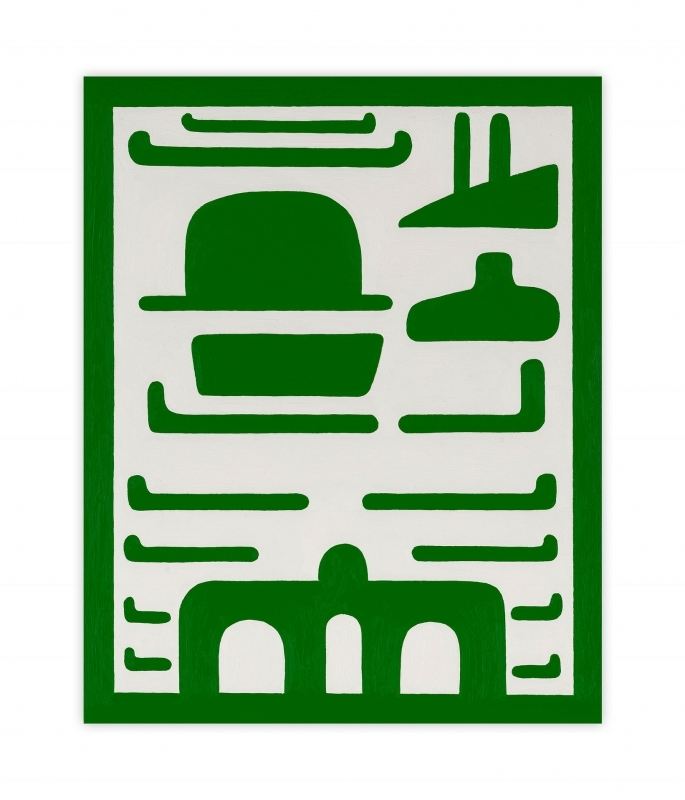 Magee’s punning title, moreover, embodies his interest in dislodging meaning from symbols that populate our daily routines. The range of work by Magee in this exhibition, spanning more than a decade, exemplifies the ways in which his intelligent and beautifully crafted paintings challenge viewers with the meditative potential of abstraction.